When it comes to small spaces or even large open floor plans, having ways to partition a space can come in handy. It is helpful in distinguishing areas of use in a home like separating the bedroom area for rest and that of the office where productivity takes place. Having distinct areas also offers options for developing design styles. Your kitchen, for example, may have a sleek, contemporary look while your living room may lean more towards a transitional style, embracing comfortable pieces for kicking back. Bookshelves like those used in this recent open plan, start-up project and collected wooden crates make for a simple and useful room divider. Paint them in the color of your walls for a seamless look or use a pop color to accentuate them. 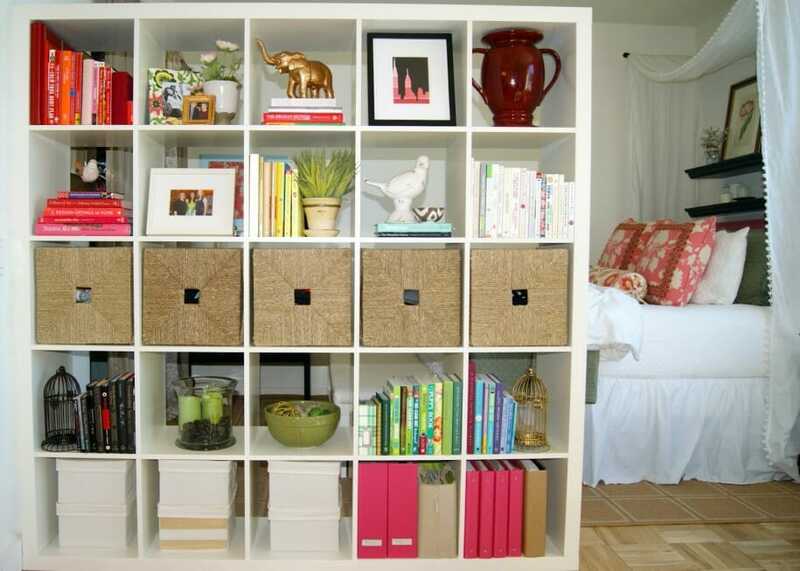 These not only separate areas in a space, but they also are great storage solutions for books, baskets and accent decor pieces. Glass partitions are great in that they do not block the flow of light completely. 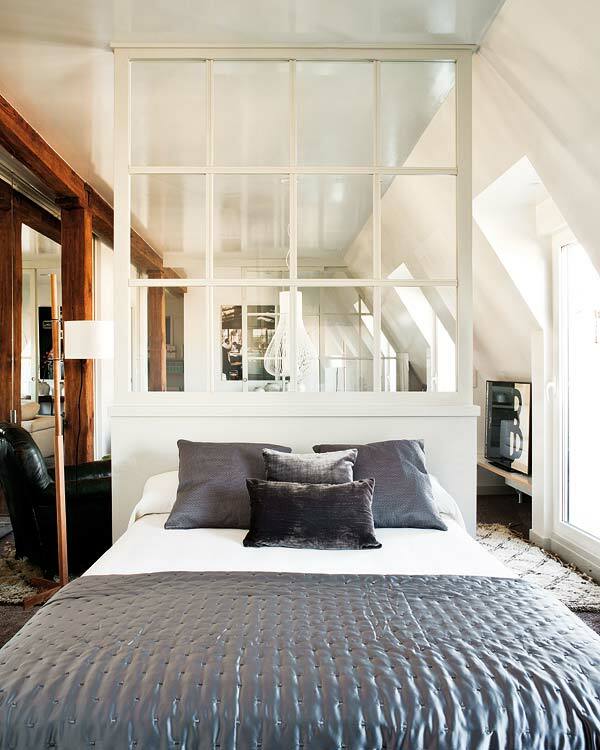 Opaque or used as window panes, these offer a more subtle barrier to home areas. A standard curtain set up can be places in areas needed for division. These may be the perfect alternative to wall partitions as they offer privacy and added soft texture to a design. IKEA has many great sliding panels that can be versatile in arrangement. For a modern look, there are several hanging screen options like the Sotto Room Divider made of interesting linked patterns. 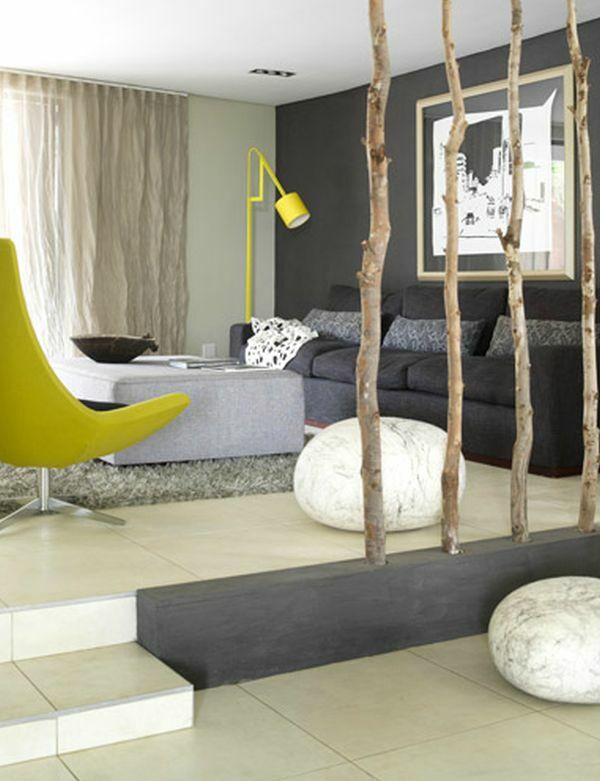 Tall indoor plants or a series of wood trunks can give a space a natural element while sectioning off an area. Part of creating an interesting and effective space is to find opportunities in design objectives. By using one of the mentioned room partition ideas, a residential or commercial space gains the needed areas through style.